Mimi Agee Photography - Get Involved. Make Friends. Enjoy Motherhood. A MOD Moms Business. 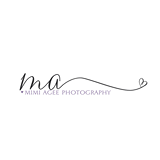 Mimi Agee Photography is a full service photography service based out of Superior, Colorado. I specialize in newborns, children and families, and offer high end custom photographic prints and wall art.